Lurline's Place: What a Day! Hi Lurline, What a day you have had! On Sunday, the local police had a roadblock and were asking everyone for their license. Thankfully, I could FIND mine!!! I'm almost 52 and have never had that to happen before! I love your dolly quilt - so precious. Your get-together with dear friends sounds so wonderful. Best wishes with your baby tears. That dolly quilt turned out fantastic. Lucky you finding more of that print! Enjoy the rest of your week. Your dolly quilt is precious! Sounds like you had fun with your quilt group. 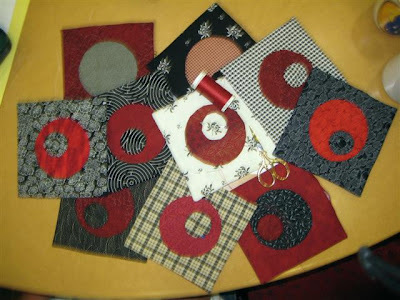 It is always fun getting together with fellow quilters. Lovely little quilt. You did a wonderful job. Thank godness that your friends came to the rescue. I see the ground cover. It looks quite lovely. I still love that dolly quilt! Now where did I put my directions for court house square blocks? It so nice to see the green of the garden. Our weather is still dreary with few trees showing leaves. Ho hum. . . maybe this weekend. I love the dolly quilt! And I too feel the HAVE to's very strongly. Then there's the wants. They're pretty strong too. That's why I'm on the internet achieving very little. Lol! I'm often in the exact same spot, too much to do and not enought time ... and usually the want's are much nicer than the have to's. It's a bit like when I used to tell my kids to eat what they didn't like on the plate first, and enjoy the yummy stuff last. Your little ferny grove sounds like it will be a lovely place to spend quiet time. You did very well ... for a bagless lady ! Love that dolly quilt! Sounds like your friends are very generous...glad you had a fun day. I love the garden too. love the doll quilt, oh someone will be very lucky to receive this quilt. cute fabric!!!!!! ah yes I can't believe its Wed already...I need another day or two this week to get done what I need too! lock yourself in the sewing room today and sew! Doesn't the dolly quilt look great in theose colours? I recognise the border fabric! If I'd seen that fabric you picked up, I'd have bought a piece of it too. I just finished mine and popped it in the post today - its my first swap and I am so excited! Thank goodness for friends! Whoever receives that darling doll quilt is going to love it. Your friend's unusual blocks definitely have a hint of Japan. I had to click on the fabric photo to get a bigger look. So darn cute. 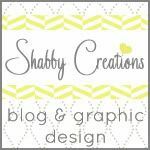 I love that dolly quilt! Oooh, there's nothing more frustrating than forgetting your glasses!!! I'm totally lost without mine. 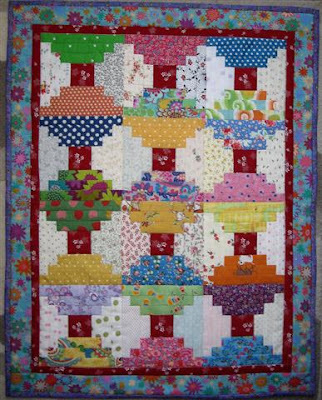 Love the dolly quilt and I just adore that fabulous potholder fabric ... it's gorgeous!!! The doll quilt is very cheery and wonderful to look at...I love the colours. You have a wonderful looking garden, I hope your new plants will be happy. 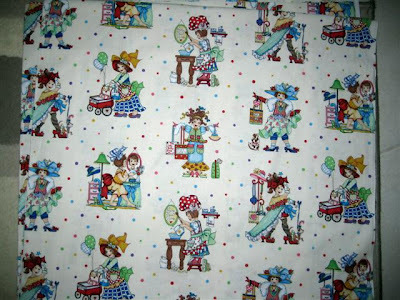 A lucky girl will receive the cute dolly quilt! Your fern garden will be lovely! I do envy those with a gardening passion! Candy's blocks look like pimento stuffed olives to me. LOL! Your dolly quilt is great. And Candy's quilt looks interesting. Love the colours she has chosen . 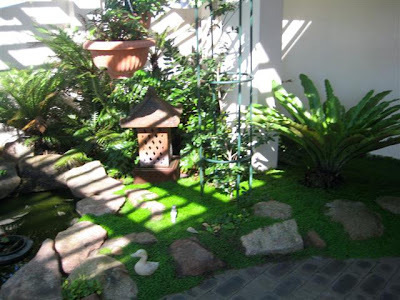 Im a bit of a fan for a fernery but I dont have one yet. (Maybe if we get some rain). Im trying to get productive and seem to be walking around in circles. Have a great week. I'm right there with you, Lurline...too much fabric, so little time. Love your dolly quilt. It just radiates with happiness. Your garden look smashing...so lush and green. Ours still has a way to go yet but the weather is supposed to reach in the high 70's by the weekend. Maybe we'll be cutting the grass next week...much to my husband's dismay. My husband is always leaving his glasses somewhere. He had to drive 140 miles round trip one time to retrieve them from a restaurant! I like the circle blocks! Very different! The doll quilt looks so sweet. You were lucky to manage the binding with your friends glasses. There is always so much on a woman's mind that she looses herself sometimes not just her bag. Just down my alley. Love it all. I'm going to take up your challenge of making Mrs Perkins, I bought the pattern and fabric (of course)so will join both you and Janet in May, we will have a wonderful herd of Perkins!! 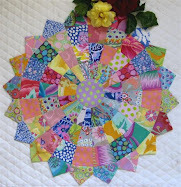 The dolly quilt is lovely, love Candy's blocks, the colours are very her, and they do look very Japanese..